I love to tell the story of the night, many years ago, I was taking a couple of young people home from a youth group activity. Tim, the teenager in the front passenger seat, lived a few miles out of town. This particular night was very dark. We were on a long straight stretch of country road when, up ahead, I could see that some kind of slow moving marsupial was crossing the road, right to left, in my lane. On top of being slow and fairly near-sighted, the opossum (colloquially, possum), is not a very intelligent animal. Tim saw what I saw and sat up in his seat a little more. Although I started to slow down, the distance was closing fast. That was okay because the situation was looking good. This possum would keep on walking. Five feet and he’d be home free. He just needed to make it to the other lane. I would not be running over any animals tonight. Tim placed his hands on the dashboard, perhaps anticipating that I would possibly have to slam on the brakes or swerve. But I knew that wouldn’t be necessary because… wait a second, what was the possum doing?! He had stopped in mid-stride, looked in the direction of my oncoming headlights, and, in a possum panic, immediately turned and started ambling back in the direction he’d been coming from. At that moment, I had already decided I would straddle him; go over the possum, but not run him over with my tires. There was no oncoming traffic, so I had veered ever so slightly to my left. This was a perfect plan. Perfect, that is, until Mr. Possum turned and headed back to the ditch on my right. His decision to go a different direction was his death warrant. Both tires on the right side of my car ran squarely over that poor possum. I drove on, shaking my head and saying to myself, “Ugh. I hate that.” Short of slamming on my brakes, stopping the car, and letting the animal go wherever he was going to go, I tried to avoid hitting him! I felt badly. I really did. When I smiled, Tim didn’t know it was because of the hilarious irony of the momentary clash of his perception of my motives versus my actual motives. Oddly, both Tim and the possum were in agreement; they both had the same idea about me; that I was in pursuit of the possum. I thanked Tim and we continued down the road. Similarly, when I perceive money to be the thing I ought to pursue in my life, it will, in the end, lead to destruction. Money is not the target. My blog features the image of an open road, stretching to the horizon, unobstructed by obstacles. To ensure that life has as few obstructing obstacles as possible, I coach people who want to seek and find what I call their “Big Why”. Knowing the Big Why – not just knowing what you are passionate about, but WHY you are passionate about that thing – will fuel your passions. The more you are grounded in that knowledge (the better the quality the Why), the bigger your passion becomes. Find your passion and your Big Why by taking the advice of PJ McClure in his best-selling book, Flip the S.W.I.T.C.H., in which he tells readers to test their perceived passions (McClure calls it purpose) by asking themselves Why? Why do I think [fill in the blank] is my passion? Take the answer to that question and then ask why that is the answer. Do that several times and you will either rule out that thing as a real passion, OR you will find the big, overarching WHY; why you know this is the thing you’ve absolutely, positively GOT to pursue; why it is your passion. Truly, there is not really much of an intersection between money and our deepest passions. At least there shouldn’t be. When money is part of what we are pursuing as some kind of partial tie-in to our passion, it is a distraction and becomes like an obstacle in the middle of the road. Once the Big Why is known and a passion is being pursued, money flows from seemingly every direction. The money takes care of itself. There’s no intersection. 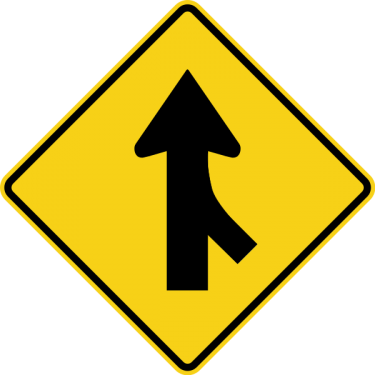 It’s a merge. The highest paid people, who are also happy people, are those who are paid as a consequence of the fact that they know their Big Why and are pursuing their passion with reckless abandon.